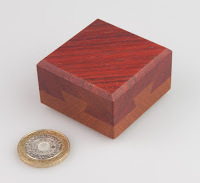 Puzzling Times: Another bunch of dovetails! 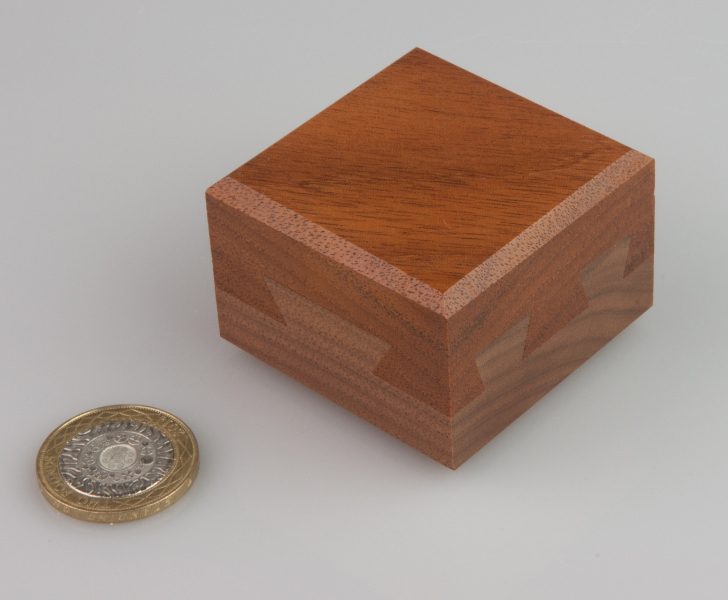 A little while back I managed to acquire a few more Sandfield Dovetail puzzles… and in the process I made a bit of a discovery! 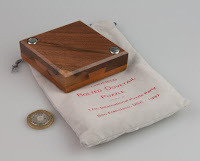 When I wrote that blog post I thought I’d found a copy of the original Sandfield Joint Puzzle and I described it as such… somehow I ended up recently buying another(?) 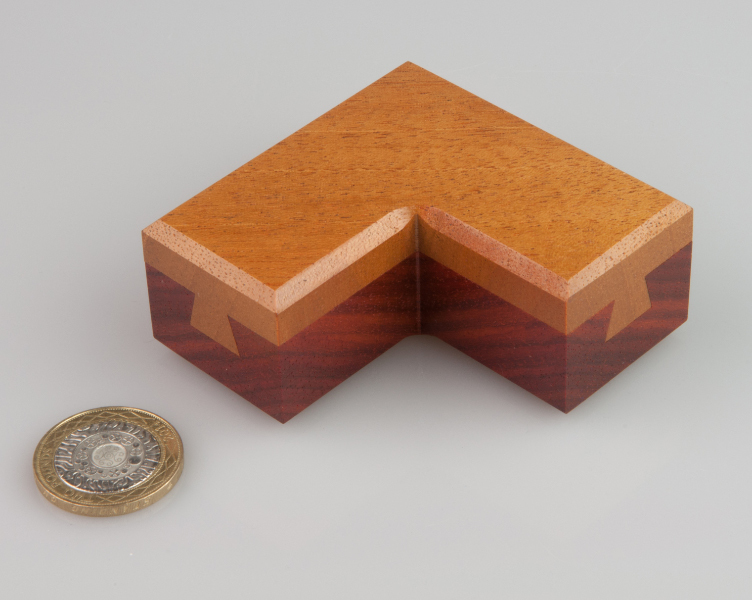 Sandfield Joint Puzzle and it’s different – so the one I was writing about back there was in fact Sandfield's Corollary-Dovetail Joint Puzzle – my humblest apologies to both of my readers. 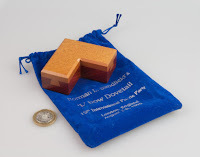 The Sandfield Joint Puzzle, Norman Sandfield’s IPP14 Exchange Puzzle is in fact the simpler of the two, working the way you might expect it to, if that makes sense in my usual cryptic non-spoiler-speak, whereas the Corollary had a bit of a twist to it… it was his Exchange Puzzle at IPP15. ...and I now know that the original is the slightly larger of the two and has a slightly wider bevel on the sides – so there you go: public service announcement for the day so that you don’t have to embarrass yourself like I have! 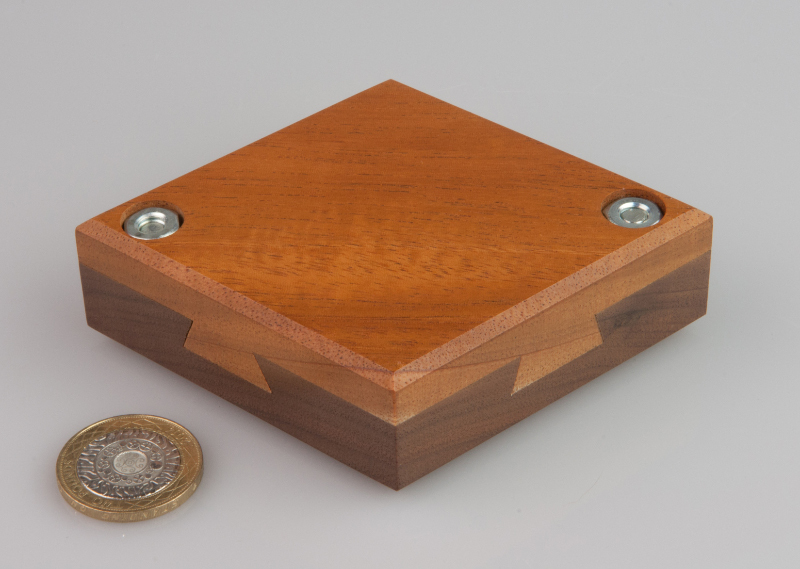 Robert Sandfield’s IPP17 Exchange Puzzle was the Bolted Dovetail – a two-piece rhombic shape with a pair of nuts and bolts securing the two thin points together while a pair of dovetail joints keep the contrasting wooden blocks together – simple, right? For me there was a neat little path to finding the solution and once you’re halfway there, the rest is pretty straight-forward – but that first half might well keep you entertained for quite a while! Robert’s IPP18 Exchange Puzzle was the Fat & Thin Triple Dovetail Puzzle. At first glance it’s just another variation on the impossible dovetail theme – except this time it appears that the blocks are held together by two thin dovetails in one direction and a fat one in the other direction – intersecting in the centre, of course… which clearly doesn’t work in a mere three-dimensional world! As with most of these in the genre there’s a form of locking mechanism, and when he was preparing for IPP18, Robert was clearly in fighting form as the locking mechanism is quite mean indeed… so by the time you get this one open, you’ve earned the view of the interacting dovetails inside there. 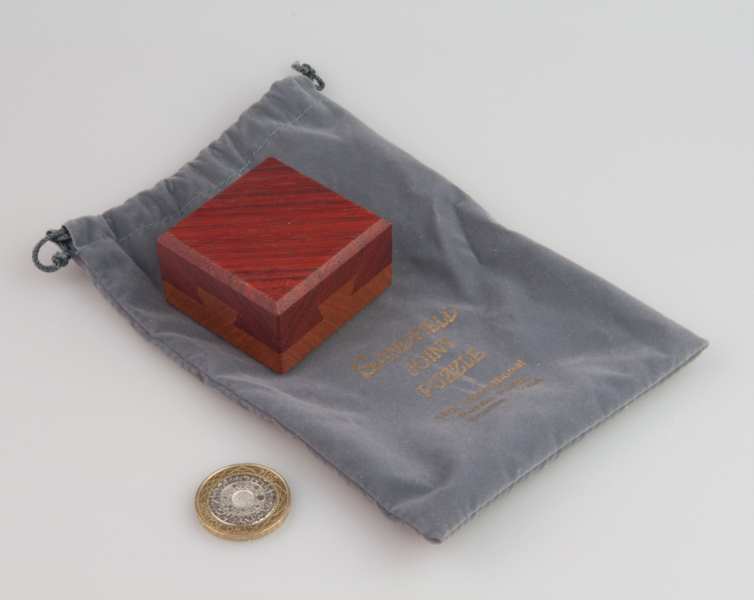 …this one holds a lovely little piece of treasure in its hidden compartment: a piece of elbow pasta – uncooked. Awesome work from Perry McDaniel all around, as you might expect! Very nice puzzles there Allard.